Well, as the title says the Phoenix sun is killing my seats in very little time living here. I've always used Lexol but in the hot months it just evaporates within a couple days and fogs up my back window. Unfortunately there is no covered parking at work so this is not helping either. I'm wondering if any other Arizona owners can offer some suggestions? I use the Cee Bailey sun shades on all the windows which helps, and I periodically use Lexol conditioner (like always) with a bit of 303 on top to protect. But lately the Lexol isn't absorbing like it use to, and I'm seeing the formation of some slight cracks in the drivers seat. I've spent hours reading the forums about all the various conditioner products, the debates, the type of leather we have and countless streams of information/misinformation/disinformation, but felt this was a bit more specific to the unique situation of literally living on the surface of the sun, where it's 115+ degrees every f-ing day for 3 months. Last edited by Thomas Guide; 12-19-2018 at 08:00 PM. Ceramic window tint can help. So the question is about leather care in Phoenix. At this rate you have to condition the seats every week which is not good either. The seats aren't absorbing Lexol anymore... so I hope some Arizona owners are lurking here (or others in high heat areas, like maybe in the Middle East...) and what they do to take care of their seats. Have you considered putting a blanket/towel over the seats while you're at work? assuming your shades do a good job of blocking heat and uv rays, I would still pursue ceramic window tint because you need protection while you drive as well. In either case, it looks like it's the heat that's worrying you the most so just lower the window an inch or so. That would prevent the inside from becoming an oven and drying out the lexol faster. You need to vent the hot air. Heat and uv rays are the two enemies you have. Last edited by Midnightdennis; 12-20-2018 at 05:31 AM. Thanks guys but what I'm looking for is a product and application recommendation for a conditioner in this heat with the problems I've mentioned. If you look at the link I provided you have your answer about protection as these are custom form fitting shades so no light gets through. And placing towels on the seats again is not going to resolve the issue with the seats no longer soaking in the Lexol. So this thread is about leather conditioner product suggestions and application help in the Phoenix summer.... my seats are degrading and I need help in that area. I would personally first try the no-cost, friendly suggestions offered here. I don't see a goal or a major benefit (w/o tradeoffs) from throwing money at a magical product and continuously saturating the seats with chemical solutions....but hey, your car/thread after all. BTW I used to live in Arizona. Also, no such thing as shades that result in no light (especially re: UV rays) getting through. Your link even confirms this. I'd say there's a good chance you've over conditioned your leather. I'd ask the questions to either a professional detailer or upholsterer to get their advice. Your leather is likely over conditioned and pores clogged. Stripping the seats with alcohol or mineral spirits and redying to soften the leather is probably whats needed. Greetings fellow Michigander (I grew up in Hamtramck and Canton). I've researched what you said about over conditioning and believe that is what has happened. After the summer I used a Volvo cleaning/conditioning kit and the ethanol cleaner really helped to get it to a 'baseline' but I'm not sure what to start using now. @Deckoz stated Lexol has silicates in it, and I think we're getting somewhere as the seats clearly do not like Lexol anymore. (Quick note about the Volvo kit, Before moving to Phoenix the car was in Los Angeles for 12 years, and I used Lexol and an Ikea leather conditioner that I got with a leather sofa many years ago and my car seats were so nice from this stuff. It turns out that Volvo and Saab use the Ikea conditioner for their kits, but change the packaging and do a massive markup. Ikea stopped selling their kits so I had to pay a hefty sum for the Volvo kit, which contained this new cleaner I've never seen, I used it and it really helped my seats. That's when I realized my seats needed a new direction in care in this crazy Phoenix summer heat). I've been looking at 1Z Lederpfledge, Griots and Leatherique but not sure which direction to go with as I don't want to just start buying random products at this stage and slapping them on. 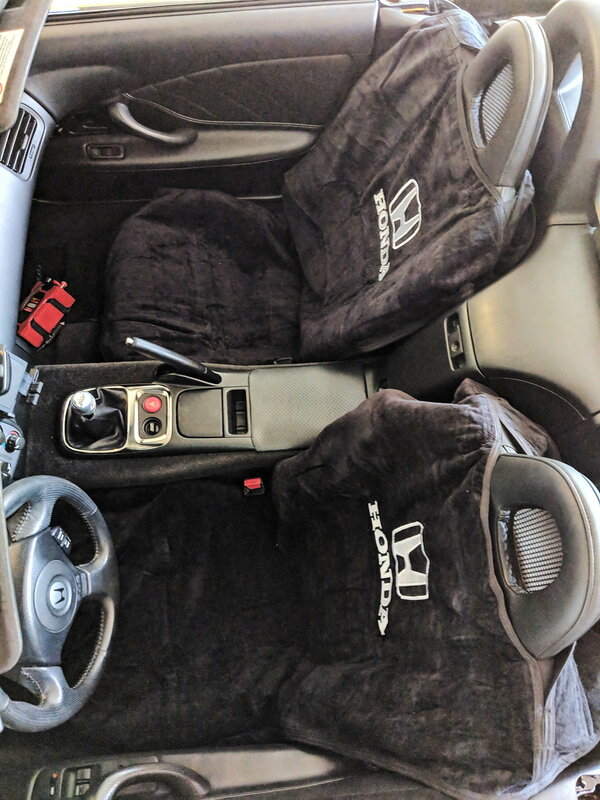 I've created another thread in this forum about Genuine Honda Leather cleaner and protectant as I've never seen it mentioned in any S2000 forum on the interwebs. I understand that S2ki topics on leather conditioner and motor oils can cause the second American Civil War if it goes unchecked, but would really appreciate some logical discussion on perhaps what product to try at this stage.